BOSTON, Dec. 9, 2015 /PRNewswire/ — Gordon Brothers Group, a global advisory, restructuring and investment firm specializing in the industrial, consumer products and retail sectors, announced that it has purchased the assets of Lincoln Paper and Tissue as part of a joint venture that includes Capital Recovery Group, PPL Group and Rabin Worldwide. The Maine-based tissue and paper mill filed for bankruptcy in late September 2015. “Our purchase of this mill provides a significant opportunity for a strategic operator to restart the mill. In the event an operator does not materialize, we will provide buyers with the chance to purchase some highly desirable, late model paper and tissue equipment,” stated Bob Maroney, President of the Commercial & Industrial Division of Gordon Brothers Group. “We are investing capital to maintain a warm idle and would like nothing more than to have an operator restart the plant and create jobs,” said Bill Firestone President of CRG. Lincoln Paper and Tissue’s bankruptcy filing resulted from a series of challenges as the company sought to improve its business following a boiler explosion in 2013 and the subsequent loss of a major customer. The company faced headwinds due to trends towards foreign manufacturing of similar products and earlier this fall made the strategic decision to file for bankruptcy. CRG is an international firm which creates liquidity through innovative solutions. We specialize in complex industrial facilities with idle or marginally productive assets and may work with strategic partners to either revitalize the under productive assets and/or liquidate the surplus. Our business model is to execute the above as principals where we roll up our sleeves and work hard to achieve our goals with our risk capital deployed. We have a multi-million dollar credit facility which provides capital to accomplish the forgoing. PPL Group is a leading private equity firm that uses its capital to help businesses in transition. The Company provides asset management solutions for entire plants, production lines, groups of assets, and whole companies. PPL’s principals have successfully monetized commercial and industrial assets for 40 years. PPL works with large corporations to provide the best possible financial recovery for surplus and idle assets. The Company works with small and middle market businesses during change, turnaround, restructuring, and bankruptcy situations across a broad range of industries. PPL creates maximum liquidity by structuring innovative turnkey and going concern sales transactions. Rabin Worldwide provides comprehensive financial solutions for businesses in transition, from Fortune 500 companies and private industry, to financial institutions, receivers, trustees and courts. Our ability to evaluate, market, and sell surplus business assets has inspired the confidence of our clients and customers for over 50 years. Rabin Worldwide is a multi-generation business providing financial solutions to a wide range of clients and customer. We began by selling WWII surplus in the San Francisco Bay Are in the 1950’s, and we are now a global company capable of managing industrial sales of any size or type — known for out financial strength and ability to assume equity positions in all manufacturing and processing industries. Lincoln Paper and Tissue is a leading U.S. manufacturer of high quality tissue products. 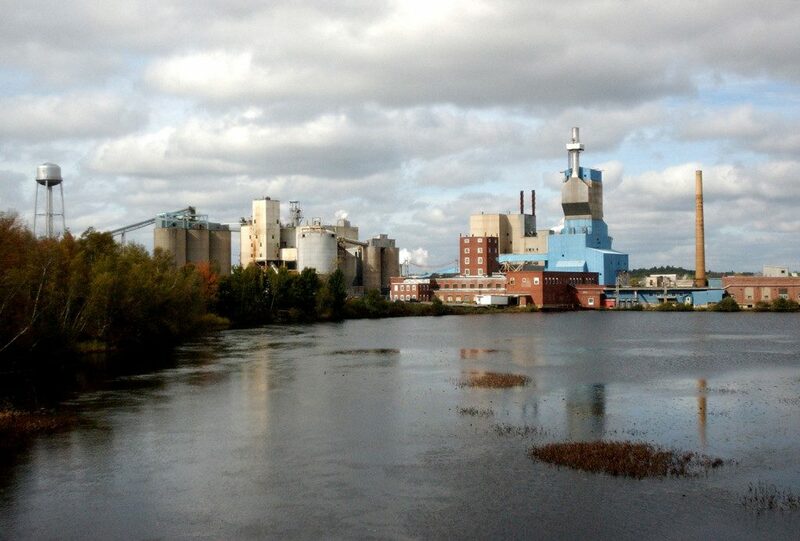 Located in Lincoln, Maine, Lincoln Paper and Tissue provides commodity and niche-market tissue products to quality-minded customers worldwide. Lincoln Paper and Tissue is the largest producer of deep-dyed tissue in the United States. Lincoln Paper and Tissue’s products are used by many of the nation’s party goods producers, airlines, and food service companies to create napkins, towels, table covers and other specialty tissue products.